Free Report: Is Your Computer Safe? When was the last time you stopped and thought about how safe your computer really is? If you think about it, your computer contains all of your important files like photos, banking and financial information, and other personal documents, some of which are irreplaceable and some of which you don’t want strangers looking at. Is Your Computer Safe? 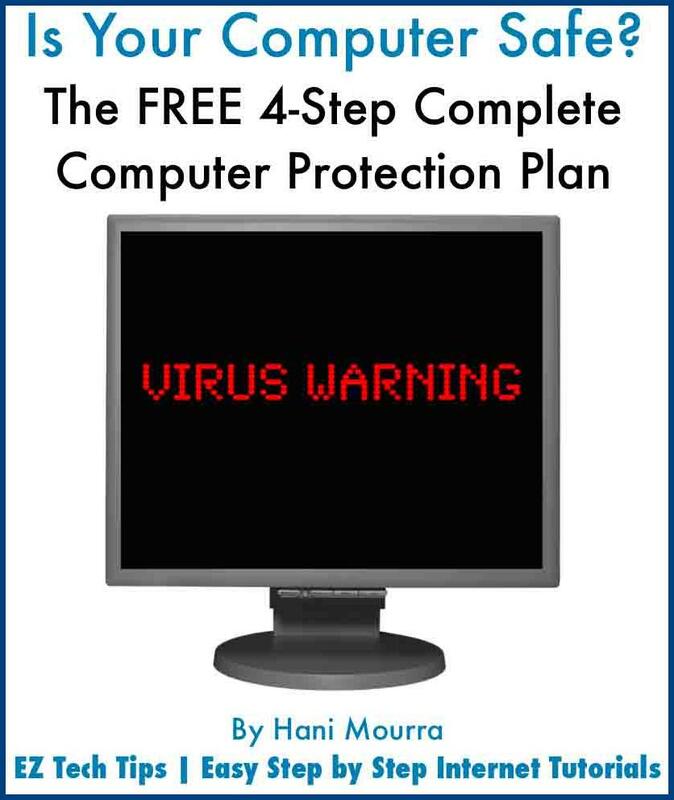 The FREE 4-Step Complete Computer Protection Plan will provide you with easy to follow step-by-step instructions on how to completely protect your computer from the over one million different types of computer viruses and threats that exist out there today…without spending a penny. 1. The different types of computer viruses and threats that exist out there. 2. Four FREE and EASY steps you can take to scan and protect your computer. 3. Tips to keep your computer safe from viruses while you surf the web and check your email. 4. Recovering your irreplaceable files in the event of a virus attack. In just a few minutes, you can sleep better knowing that your computer is safe. Do I really need this report? If any of the scenarios below apply to you, you need to download this FREE report. 1. Don’t have enough time to try out the many anti virus tools that exist out there. 2. Realize that computer viruses are out there, but don’t have enough computer knowledge to protect yourself against them. 3. Find it hard to follow highly technical and confusing computer tips found on some web sites. 4. Don’t know where to look to find honest computer help. 5. Not interested in spending money on computer tools to protect your computer against viruses. to Gain Instant Access to the FREE Report! Written by Hani Mourra on November 3rd, 2008 with no comments. Read more articles on Computer Help and Internet. Do you need computer help? Do you have a virus? Click on the Profile button below to learn more about how I can help you and to download the CrossLoop software that allows me to connect to your computer and fix it. Has my Gmail account been hacked?